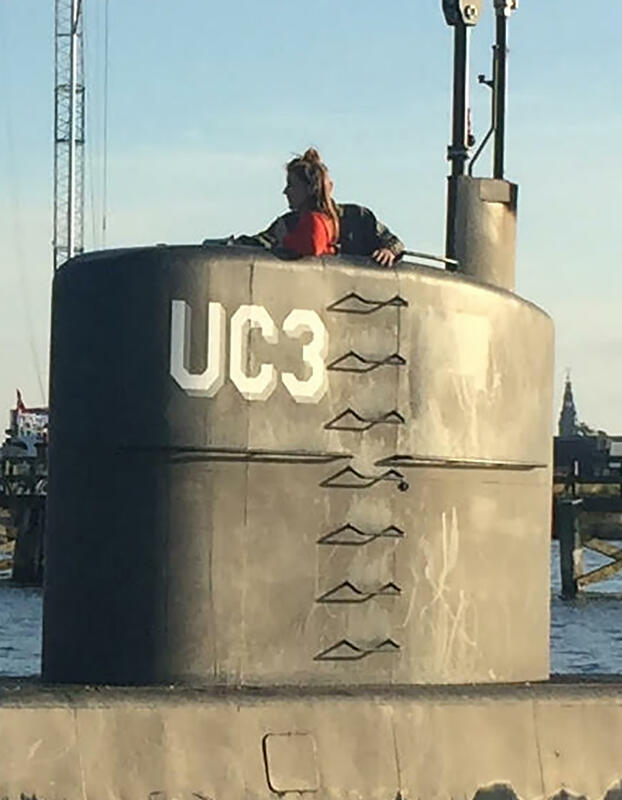 COPENHAGEN, Denmark -- The Copenhagen City Court on Wednesday sentenced Danish inventor Peter Madsen to life in prison for torturing and murdering a Swedish journalist during a private submarine trip. Madsen, 47, was found guilty of murder, dismemberment and indecent handling of a corpse over the death of Kim Wall. Judge Anette Burkoe said she and the two jurors agreed Wall's death was a murder, saying Madsen didn't given "a trustworthy" explanation. Madsen stood quietly listening as the judge read out the verdict Wednesday. He had denied murder and said Wall died accidentally inside the submarine, but has confessed to cutting her up and throwing her body parts into the sea. Prosecutor Jakob Buch-Jepsen had claimed Wall's murder was sexually motivated and premeditated because Madsen brought along tools he normally didn't take when sailing. He had sought the life sentence for Madsen. In Denmark, life equates to 16 years, which can be extended if necessary. Madsen's defense lawyer argued that he should only have been sentenced for cutting Wall into pieces. The cause of death has never been established. When Judge Anette Burkoe read the verdict, it was not seen outside the Nordic region because of broadcasting restrictions decided by the Copenhagen City Court. It was not immediately clear whether Madsen's legal team would appeal the verdict. Testifying during the trial, Madsen repeatedly claimed that Wall died accidentally inside the UC3 Nautilus while he was on deck. He said Wall, "had a wonderful evening until it ended in an accident," but denied that any sexual activity had taken place between them. Early in March, he told the court he had found Wall lifeless after a sudden pressure problem in the submarine.